Ian studied flute at the Royal Northern College of Music in Manchester with Kate Hill and Trevor Wye. Whilst there he was offered an instrument technology course as part of his diploma which lasted three years. During this time he produced his first headjoint which was made from stainless steel and nickel silver. Following study at the RNCM he started working from home repairing flutes and making headjoints, quickly gaining a reputation for the quality of his work. Ian has spent time working at the Brannen Cooper factory in the USA, receiving training in both manufacture and repair of their flutes. This influence led to a thorough overhaul of his method of making headjoints. Working trips abroad have included the USA, Spain, France and the Faroe Islands; lecturing on and demonstrating flute maintenance, making and repair. Ian has now established himself as one of the leading flute technicians in the UK, maintaining many instruments belonging to professional players. He is resident flute technician at Just Flutes / Jonathan Myall Music. As a player Ian regularly freelances in the south of England and abroad, working with Surrey Opera, Kentish Opera and two wind quintets amongst others. He has worked as the principal wind tutor for the IAPS National Symphony. In 2007 Ian performed the Chaminade Flute Concertino at Snape with the the IAPS National Symphony Orchestra. Probably the most important stage of making a headjoint is cutting the embouchure hole. It is this that really makes it work or not. When I cut the embouchure hole, I use a tool called a scraper. It’s a wooden handle with a blade shaped like a triangular file, about 15mm long. However, instead of having file teeth on each surface, the faces are ground to a mirror finish, giving three very sharp cutting edges. I start by using a series of gauges which show the angles required at the front, back and sides of the hole, and also the outside curvature of the lip plate. I cut the hole so that it is a minimum size from front to back, from side to side, and so that the diagonals are the correct length. From this stage, I finish cutting the hole by playing the headjoint on my own flute, until I feel satisfied with the result. This may take 5 minutes, or sometimes I have to put the headjoint aside and start work on it again the next day! Either way the headjoint must blow well and be characteristically ‘one of mine’. Good dynamics throughout the whole range. Good articulation throughout the full range when played loud and soft. A wide range of tone colours available. An even sound throughout the full range. When the headjoint has all the above features it is ready to polish and finish. I polish inside the riser using emery paper. This is done very carefully by hand, being sure not to alter any angles, as this could drastically alter the headjoint. I polish the outside on a buffing wheel, which has a fine polishing powder on its surface and gives an excellent finish. I then play the headjoint again on my flute, and if I am still happy with it, my name is engraved on the tube! Every maker aims for different things and produces very different results and, due to the fact that headjoints are so personal to the player, it seems to me that nobody can ever produce ‘the’ perfect headjoint. We all strive for perfection, but there always seems to be room for experimentation and improvement. Long may this continue! In my first two articles in this series I talked about how I make a headjoint tube and lip-plate. This article covers the riser: a part that you don’t really see but that is an important part of the headjoint. The riser (also called the chimney, or by some American flutemakers, the ‘wall’) gives the embouchure hole its depth. This depth affects the response and tone quality of the headjoint, broadly a deeper chimney produces more low harmonics in the sound and therefore a richer quality. A shallow chimney will produce a brighter and freer-blowing headjoint. The riser is shaped like a top hat without a top, and most headjoint makers use a casting to make it. 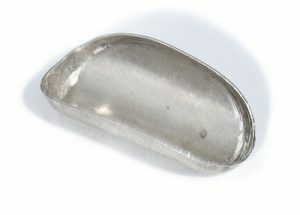 By creating one riser the correct shape and making a mould from it, any number of copies can be made in any metal, the most popular being silver, gold and platinum. The riser is soldered firmly to the underside of the lip-plate. To hold the riser and lip-plate in the correct position whilst they are heated up, I use a simple arrangement of two U-shaped metal clips. I do the soldering on an old house-brick, as it won’t burn and it retains heat easily: this means that the lip-plate also heats up from underneath, which helps the solder run all the way around the joint. Next, the lip-plate and riser are cleaned up and soldered on to the headjoint tube. Here I use two pieces of thin wire twisted around everything to hold it all together. After soldering is complete, the headjoint is now ready to have the embouchure hole ‘cut’. This is the critical stage in making the headjoint, as it is this that ultimately makes it good or bad! The next article will cover this cutting and final polishing and finishing of the headjoint. What I am intending to do over my next few blog posts is to describe the processes involved in producing a headjoint, from tubes and sheets of metal through to the finished product. I am not for one moment suggesting that this is the only way of making a headjoint, but it is one that I use and which works well for me. This, the first article, aims to describe how the tube is made, and then in the following issues I will look at lip-plates, assembly and final testing. The tube is one of the most important sections of the headjoint when it comes to the sound. The tube is tapered, with the open end being about 2 to 3mm larger in diameter than the crown end. This taper (which is curved – not straight) helps to keep the octaves in tune and give an easy and even response to all three octaves of the flute. 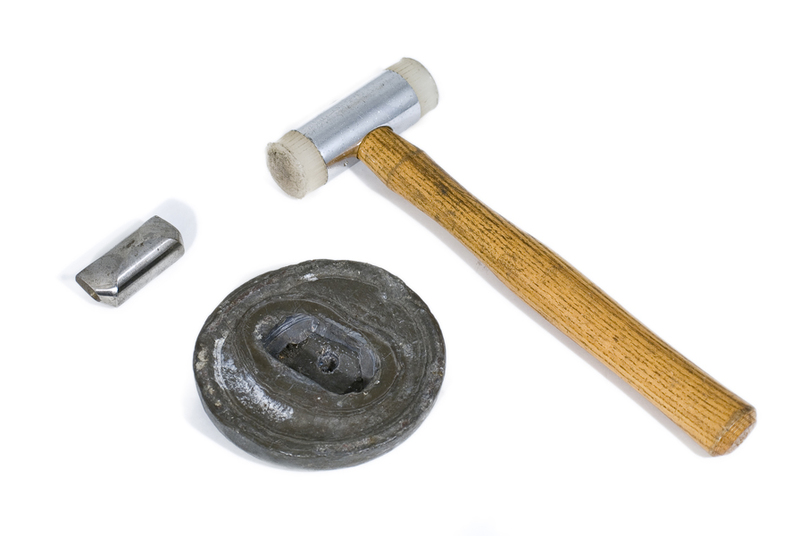 There are three common materials used for making headjoints; gold, silver and nickel silver (usually silver-plated). 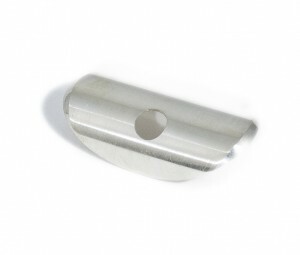 Excellent headjoints can be made from all three materials, but most flute players seem to think that silver has a wider potential for tone colour than the others. It is also worth saying that bad headjoints can be made in all three materials! Place the cylindrical tube on a tapered steel bar (shaped like the inside of the finished tube) called a mandrel. Fix the top of the tube to the mandrel, to stop it slipping. Push the mandrel – with the tube on it – through a lead block with a hole in it. The hole in the block starts the same size as the small end of the tube: as the mandrel is pushed through the hole, the tube is squeezed tightly onto the mandrel, giving the tube its final shape. Method two is similar to method one, except the tubing is made from a flat sheet made to form a cylinder. The edges are then silver soldered together, and the resulting cylinder is then tapered using the above method. Following the shaping of the tube, the outside is polished, ready to have the lip-plate and riser soldered to it. To make the tube is not really all that difficult, but time and practice is required to give the tube an absolute mirror-like appearance. A headjoint must play wonderfully, but it must also look the part! In my next article, I’ll discuss making the lip-plate. Sticky pads can be infuriating. However, they are something that nearly all flute players have to put up with to some extent. Very few flutes have no stickiness at all, and to be honest, there is not that much that you can do about it! To look at what can cause sticky pads, let’s first look at the pad itself. 1. A card washer to give the pad some stiffness. 2. A felt washer (usually about 2mm thick) that sits on top of the card washer. 3. Two layers of ‘Gold Beater’s Skin’ which is stretched tightly over the felt washer and glued on to the underside of the card washer holding everything together and providing an airtight surface that will seal the tone hole. When a pad becomes sticky, what has happened is that the surface of the skin has become dirty. This causes slight holding of the skin when the pad comes off the top of the tone hole, so that when it releases it makes the characteristic sticky noise. The dirt usually gets on to the pad when the pad is damp. Dust in the air, or in the flute case, settles on the skin and it gradually becomes slightly sticky. Another cause is players consuming sweet drinks or food before they play the flute. Stickiness seems to follow soon afterwards! To prevent this clean your teeth, or at least have a drink of water before playing after eating sweet things. 1. Buy a can of lighter fluid and some cigarette papers from any good newsagent. Make sure you buy lighter fluid, not gas. 2. Put two drips of lighter fluid on to a cigarette paper, and slide this between the sticky pad and the tone hole. Close the pad on to it and gently hold it closed for about 10 seconds. Open the key and then close it again with the paper in a slightly different position. Take the paper out, blow on it to evaporate the remaining lighter fluid, and replace it between pad and tone hole and close the key for the last time on to the paper to blot up any remaining fluid. You should find that now the pad is not sticking, or at least the noise is reduced. At no time pull the paper out from under the pad when the key is closed! My feeling is that the above method is the safest for repairing sticky keys, but some people recommend the following tips. I am not certain that I can recommend these myself, and I have said why here. Whilst this does reduce stickiness, I feel that adding more ‘mess’ on to the skin surface is asking for trouble later on. Also, I’m sure the pad cannot seal as well after this treatment. Again, this is adding more and more mess to the pad surface. I cannot recommend it. ‘Place a dry cigarette paper between pad and tone hole, close the key and pull the cigarette paper out’. Don’t do this! It ruins the pads very quickly. Paper is surprisingly rough and acts like sandpaper on the pad skin. When this has been done only a few times the surface of the skin looks frayed. This pad will not last long and will certainly not seal as well. I hope the above helps with your sticky pad problems. Do remember though, even if using the lighter fluid method, that you should only do this occasionally. This article was originally written by Ian McLauchlan for the Flutewise magazine. Open G#: To open, or not to open? If you look at your flute, you will find that all the keys are sprung open except for D#, G# and the trill keys. The reason for this is that Theobald Boehm, the inventor of the mechanism on the modern flute, designed the keywork on the principle that all the keys should be open, and that the keys should only be closed to shorten the effective length of the flute to change the pitch. His reasoning was broadly based on two counts. 1. The more keys open (and the larger the holes) on the instrument, the louder it will be. 2. By having all keys below the first hole open (as far as possible), this will reduce the ‘veiling effect’ produced by closed sections of tube. In Boehm’s original design he had the D# key sprung closed, but held open at all times by the little finger (except when playing D). This was to give a physical support in the right hand, thus making the instrument more stable when it is being played. The G# key he had open which fitted in with his ideas perfectly. As the Boehm system flute became more popular and larger numbers of players transferred from simple eight-keyed flutes to the Boehm system, they had to learn a number of new fingerings. The key that they seemed to have had the most difficulty transferring to was the G# key, which had always been sprung closed on the eight-keyed flute. After a number of experiments by different makers, a closed G# version of the flute was produced. This involved duplicating the G# hole on the rear of the instrument, and it is this design that is used almost universally today. 1. 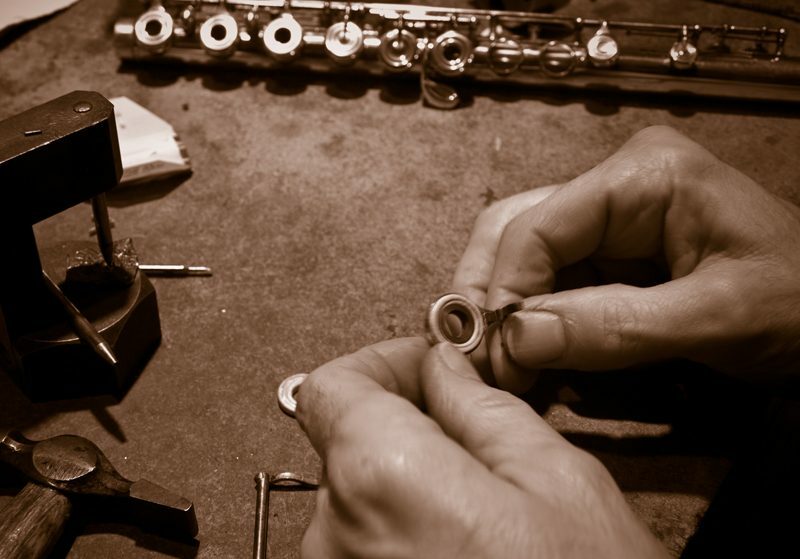 The system spoils top E, because the G# hole on the top of the flute is open when playing high E. A split E mechanism is required to correct this. 2. The closed G# mechanism is unnecessarily complicated – there is more mechanically to go wrong. 3. The closed G# is illogical. When going from G to G# you put another key down to go up the scale. Why then is the open G# flute not the standard flute? The open G# system is used by a growing number of players, especially in Britain. However, due to the huge number of players on closed G# instruments and the lack of open G# flutes – particularly at the student end of the market – I don’t see the current situation changing. Perhaps one day a quality, open G# student flute will be made available, and this could produce a new and well-deserved interest in this superior system. Open G# flutes are available by special order from Just Flutes, on most brands in the intermediate bracket upwards. The headjoint of the flute is probably the most ‘personal’ part of the instrument: a headjoint that plays well for one person might be another player’s idea of hell! For this reason, no hard and fast rules can be given as to what makes the “best” headjoint, but a few guidelines might be useful. I’ll deal briefly with these, point by point. A good headjoint should be capable of producing a good dynamic range. It should play very loudly in all three registers with a good quality of sound. It should also play quietly in all three registers whilst being controllable regarding pitch. As we all know, when playing loudly it is all too easy to go sharp, so how easily can you pull the pitch down to concert pitch at the extreme of loudness (use a tuning machine as a guide to help you). Obviously try the same test with soft playing. Here, the ability to keep the pitch up is important. Always compare the results with your existing headjoint as you cannot expect a new headjoint to cure your own playing difficulties! Don’t forget to try all three registers. Compare the ease of producing good, clean starts to tongued notes with your existing headjoint. Simple scales played slowly will be a good guide. Try both loud and soft in all registers. 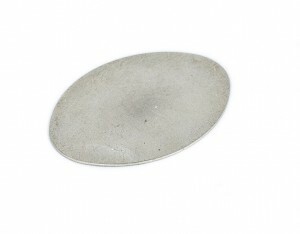 Also try without the tongue, diaphragm only. This is a very good test. Try to get an idea of the range of colours available. Play low, simple tunes such as Fauré’s ‘Pavane’ or the ‘Aquarium’ from ‘Carnival of the Animals’, and aim at a very hollow, open sound. Go up one octave and see if you can produce the same sort of sound. It is very important that a headjoint is capable of producing a similar quality of sound throughout the full range. Next, try a much harder sound with lots of harmonies again in different octaves (Moyse 24 Easy Melodic Studies No. 10 – strong and trumpet like, is ideal). Less easy to check for this one! The help of a friend is useful here. Some headjoints appear to play very loudly close up, but cannot be heard at the back of a concert hall. Others don’t appear so loud close up, but the sound seems to travel better, it ‘projects’. Ask them which headjoint sounds louder at the back of the hall, and also which sounds ‘best’ to him, which he prefers. A string player will give you an honest answer, a flute player may have too many preconceived ideas. If you can’t get into a hall, the next best thing is to ask someone to listen to you from outside the room you are playing in with the door closed. Now which is loudest? Remember when trying out headjoints to compare them to your own. A headjoint can’t compensate for shortcomings in your playing – only hours of careful practice can do this. But a headjoint can give you the potential to do more things. Practice makes these a reality.